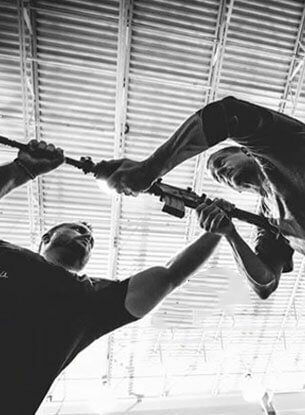 Ground Fighting will help you improve your physical fitness, while teaching you defense skills you can use in the real world. Ground Fighting is inherently different from other forms of martial arts. The discipline is less about mystique and tradition and more about eliminating your opponent as quickly and effectively as possible. A skilled practitioner of Ground Fighting is, in essence, a walking human weapon. At the same time, however, there is a wisdom behind Ground Fighting that is seen in all disciplines of the martial arts. One of the first things a student learns is to avoid confrontation whenever possible. It is only when it is impossible or unsafe that an attack is mounted. These attacks aim to end the fight as quickly as possible by targeting vulnerable parts of the body. Krav Maga trains you for situations just like these. It teaches you how to be aware of your surroundings and protect yourself in real life. 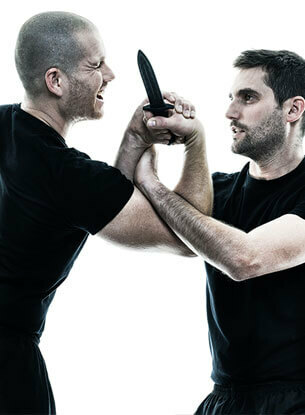 We'll show you how to take down an attacker as quickly as possible by focusing on their pressure points and vulnerable areas.